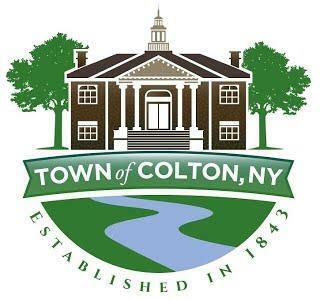 A Great Place to Live: Nestled in the picturesque foothills of the Adirondack Mountains, the Colton-Pierrepont Central School District is centered in the small community of Colton, New York and serves a population of 2100. Home of the Higley Flow State Park, the community surrounds the beautiful Racquette River and offers a wealth of year-round outdoor recreational activities to its residents and many summer visitors. Outdoor enthusiasts enjoy opportunities including area golf courses, skiing at Titus Mountain in Malone, and Lake Placid’s White Face Mountain, snowmobile trails, as well as cross-country ski trails - some within the Higley Flow State Park. Likewise, the area includes some of the finest hunting, fishing, boating, and horseback riding opportunities in New York State. Traveling north, Colton provides a gateway to the serene and colorful Seaway Valley and St. Lawrence Seaway. Educational Opportunities Four nationally recognized educational institutions of higher learning are within a 15 mile radius of Colton; St Lawrence University, SUNY College of Technology at Canton, Clarkson University, and SUNY College at Potsdam, home of The Crane School of Music. The close proximity of these colleges and universities provides our students with the opportunity to participate in a number of college/university sponsored programs and activities, i.e., the college enrichment program, talented juniors program, summer sports, math and computer camps, and high school art exhibits. The universities and colleges also offer a variety of cultural activities which include nationally acclaimed guest lecturers, musicians, artists and their exhibits, and a variety of sporting events.